I often tell overseas friends that Hong Kong is like a diva who gets a makeover every few years. In the past decade alone, the city has gone through several rounds of transformation that rendered postcards and guidebooks instantly obsolete each time. The waterfront on the island side, for instance, has received a complete facelift. The twin piers in Central – Star Ferry and Queen’s – fell under the wrecking ball, replaced by a sprawl of reclaimed land to house new docks, a giant Ferris wheel and possibly the world’s most extravagant government office building. Across the harbor, the effect of relocating the airport to Lantau and relaxing building height limitations is finally felt. New skyscrapers have been popping up in Kowloon like bamboo shoots: K11, the Arch, and the 118-story ICC, the city’s tallest structure. This endless cycle of urban development and redevelopment – and the image of prosperity and progress it projects – is like placing a pretty rug over a gap-toothed floor. Beneath the surface, a confluence of economic, cultural, social and political changes are threatening the status quo and demanding a new way of governance. They say change is the only constant; in our case, change is also the biggest variable. It is happening both too fast and not nearly fast enough. The soaring cost of living is everybody’s bête noire in Hong Kong. When I moved here 10 years ago, the taxi meter started at a reasonable HK$15. It is $22 today, a 50% increase. The flag fall fare will likely go up to $24 by the end of this year. The cost of a bowl of wonton noodles at Tsim Chai Kee (沾仔記) on Wellington Street – my personal measure of consumer prices – has doubled from $13 to $26. It is still a bargain considering the restaurant’s prime location and how many bowls of noodles they must sell every day to pay rent. Speaking of rent, I walked by a real estate agent’s office in Midlevels the other day, and saw the name of my first apartment building on Robinson Road printed in bold font on the window display. The monthly rent of a unit in that building is now more than twice the amount I used to pay in 2005. But things are even worse elsewhere. As property prices continue to skyrocket, competition for affordable housing intensified, resulting in a market anomaly: smaller flats in more remote areas are outpacing luxury homes in terms of rent increase. During the same 10-year period, my salary has gone up by at around 2.5% each year, which is considered respectable among my peers given the Lehman fallout in 2007 and the financial tsunami that ensued. I couldn’t resist the temptation to crunch these numbers on a calculator, which led me to a sobering conclusion: the average renter who subsists on wonton noodles and takes a cab every now and then – that’s most people in Hong Kong – is roughly 40% poorer in real terms than he was a decade ago. Citizens like to point the finger at the “hot money” coming from China. Mainlanders are driving up prices and drying up supply in Hong Kong, the same way the Russians and the Arabs are in London. In recent years, growing public outcry has prompted the SAR government to come up with a slew of stopgap measures to prevent a run on everything from real estate to daily supplies. 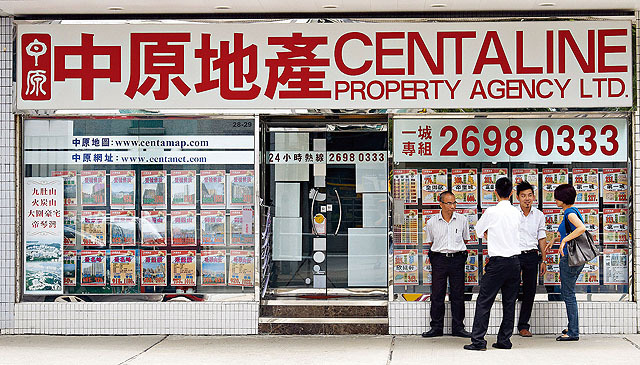 In 2012, a 15% stamp duty was imposed on property purchases by non-permanent residents. Starting 2013, Mainland mothers are prohibited from giving birth at public hospitals in Hong Kong and no one can leave the city with more than two cans of baby formula. What’s next? A ban on shampoo sale to anyone who speaks Mandarin? But our economic woes are far deeper than simple supply and demand. When it comes to innovation and industrial diversification, changes are not just happening too slowly – they are not happening at all. 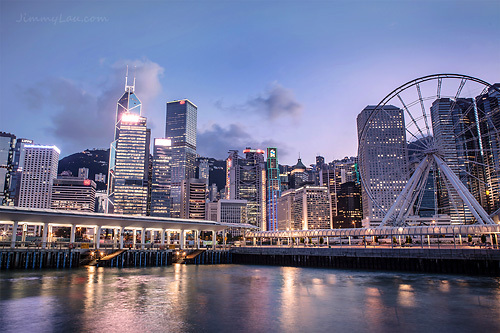 Hong Kong is increasingly behaving like a one-trick pony prancing in its own La-la Land of banking and finance, while neighboring economies like South Korea and Singapore are branching out to clean energy, life sciences and nanotechnology. Our Science Park and Cyberport, both opened for business circa 2005, turned out to be glorified real estate developments. C.Y. Leung’s proposal to set up an Innovation and Technology Bureau was derailed by filibusters in 2012 and again this year, after pan-democratic lawmakers accused it of being just another pork barrel project to benefit cronies. And so we are right where we were 10 years ago – all our eggs are still in the same financial services basket. Perhaps our being stuck in the rut is more by design than by circumstance. Cynics argue that Beijing has made a conscious decision to keep Hong Kong a “single industry city,” in order to make its economy more fragile and the population more governable. It is believed that pet birds are easier to tame if their wings are clipped. In 2006, Facebook opened its doors to any user over the age of 13. Around the same time, online chat room Golden Forum (高登討論區) gained traction by putting out funny parodies of local politicians. A few years later, a trio of twenty-somethings founded 100 Most (100毛) – a satirical “infotainment” weekly that focuses on the hundred most talked about topics in town – and used their nimbleness to take control of the public narrative. Little by little, these new platforms began to replace traditional print media as the leading news source and the key battleground where public opinion wars are won and lost. Meanwhile, YouTube and streaming sites are pushing public television to the brink of extinction. For decades, TVB’s near-monopoly has given the broadcaster a false sense of security, allowing it to churn out banal soap operas and cringe-worthy awards shows without losing its viewership. Then came the wake-up call: the epic fall of rival ATV after its acquisition by mainland Chinese businessman Wang Zheng in 2010 and HKTV's failed bid for a broadcasting license in 2013. At first glance, the two incidents stand to bolster TVB’s market position even more. In reality, they have exposed how the lack of competition is breeding bad programming and slaughtering the television industry. If you think movie production is depressing, the carnage in the music industry is even worse. A record label executive said to me the other day, “Nowadays, even an A-list singer would be lucky to sell 500 copies of a new album. And if the number breaks 1,000, which rarely happens, the studio will bring out the champagne!” The downward spiral is partly attributed to MP3 sharing and online piracy; but the real culprit is the lack of oxygen for local talent to thrive. It’s an open secret that both the movie and music industries are dominated by entertainment empires run by the local mafia, which perhaps explains why so many local films romanticize and glorify the Triads. At the same time, social pressure is making young artists wake up from their showbiz dreams and opt for safer career paths in banking and finance. These days, citizens can only cling to the past, remembering bygone superstars like Leslie Cheung and Anita Mui – both passed away in 2003 – as if they were deceased family members. We watch with abandon as Hong Kong goes from a net exporter of pop culture to a net importer of music, movies and drama series. 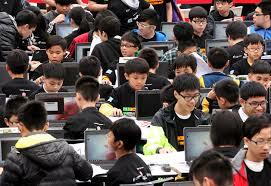 The biggest shockwave is the arrival of Mainlanders by the tens of millions. The number of visitors from China has nearly quadrupled from 12.5 million in 2005 to a record high of 47.2 million in 2014. For perspective, that’s seven times the city’s population. In 2005, Mainlanders accounted for 54% of the total number of tourists coming to Hong Kong. 10 years later, the percentage jumped to 78%. Among them are armies of parallel traders who load up on merchandise over here and resell it at a higher price back home. Apart from quality assurance, the big draw is the exchange rate: the renminbi has appreciated more than 30% against the Hong Kong dollar since 2005. The striking imbalance in our tourist mix has many side effects, but none more glaring than the transformation of the city’s retail landscape. 10 years ago, our streets were crowded but not impenetrable. Today, citizens are lucky not to be run over by rolling suitcases on Canton Road or Russell Street. The IFC Mall – a microcosm of Hong Kong’s retail scene and a place I walked through multiple times a day – used to be upscale but not inaccessible. There were a half-dozen affordable restaurants and two bookstores to hang out at during lunch time. Not any more. With 43 stores listed under the “Jewellery” category in its directory, the mall is now dominated by a homogeneity of luxury stores, making it virtually indistinguishable from an airport duty-free arcade. The last bookstore was evicted in 2014 to make way for a fashion label flagship. Shopping, the national pastime for millions of Hong Kongers, has all but lost its appeal – at least domestically. 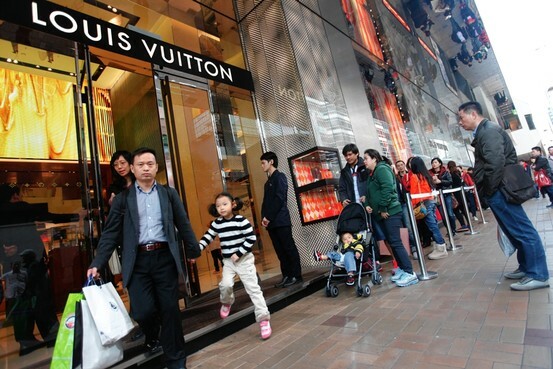 Many prefer spending their hard-earned cash in Taipei or Tokyo, where retail means more than Chanel and Cartier. This unplanned, uncontrolled influx of Mainland visitors is a tough pill for many Hong Kongers to swallow. To the social conservative, their presence is tantamount to an invasion and raises the specter of social engineering by the Communists to dilute our “Hong Kongness.” 12 years since the Individual Visit Scheme (自由行) was introduced to relax travel restrictions on Chinese nationals visiting Hong Kong, cross-border tension and nativist sentiment are at an all-time high. Racial slurs such as locust and zhinaren (支那人; a derogatory term coined by Japanese imperialists over a century ago) are used liberally on social media to refer to our cousins north of the border. When I first arrived in the city in 2005, Donald Tsang had just been sworn in as the second chief executive after his predecessor Tung Chee-wah was fired by Beijing. 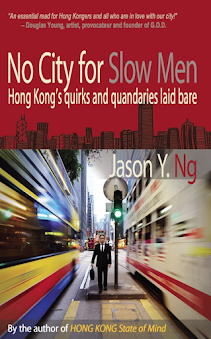 Tsang was a career bureaucrat who did the city neither good nor harm – he hardly did anything at all. But as soon as C.Y. 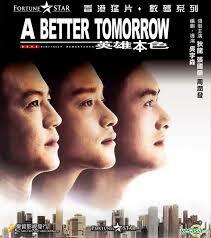 Leung took over in 2012, it was all downhill from there. With the help of the Liaison Office (the de facto Chinese consulate in Hong Kong) and emboldened by a new leadership in Beijing that is distracted by its own epic power struggles, Leung began to dismantle the city bit by bit. The destruction was systematic in method and broad in scope. 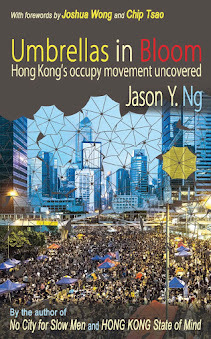 Leung started with academic freedom – from his effort to introduce a moral and national curriculum in 2012 to the attempt to quietly sabotage the appointment of a pro-democracy vice chancellor at the University of Hong Kong – and quickly moved on to the freedom of the press. He didn’t succeed with the former, but he and he allies have done well with the latter. PEN America, a Washington-based watchdog, published a damning report earlier this year about the accelerating deterioration of press freedom in Hong Kong. The document presents mounting evidence of economic pressures on pro-democracy newspapers, staff reshufflings at news organizations, and the intimidation of journalists. In politics, action and reaction always go hand-in-hand. The appointment of C.Y. Leung has sped up Beijing’s political agenda for Hong Kong, but it has also radicalized the opposition. A decade ago, Long Hair and his League of Social Democrats party were the firebrand rebels on the fringes of the political spectrum. Today, they are the moderates and are labeled as pacifists – or “leftards” – by splinter groups like Civic Passion and HK Indigenous. The new radical kids on the block believe that the LSD and their fellow pan-democrats have been wasting everybody’s time with their kumbaya, let’s-sit-down-and-talk approach, and that they should get out of the way so that real warriors like them can take real action, which includes getting physical with police officers and harassing Mainland visitors. And because these people will always choose scorched earth over common ground, society has become more polarized than it has ever been. In 2014, bitter debate over an electoral reform proposal and the flagrant meddling by Beijing in the consultation process touched off a citywide class boycott and the now-infamous tear gas crackdown on 28 September. 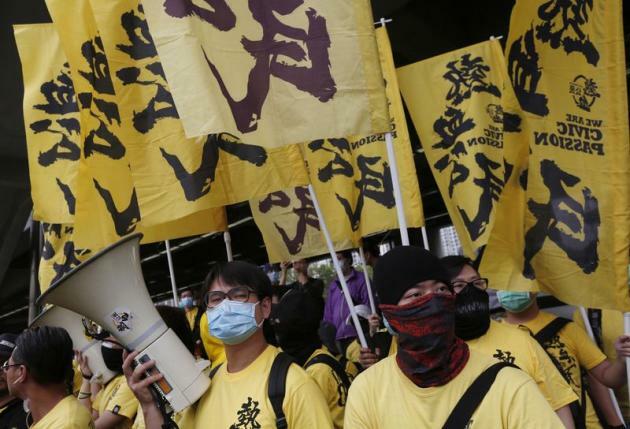 The escalating events culminated in the largest pro-democracy protest in the city’s history. Even though the Umbrella Movement failed to deliver what the suffragists had wanted to achieve, it sent a strong message to the Communist leadership that the city would not roll over and take their political abuse lying down – as so many had thought we would. More importantly, the movement has planted a seed in our youths. Among people in their 20s and 30s, voter registration has surged and many more are now paying attention to local politics. With this unprecedented level of civic participation, all it takes is a spark for the next social uprising to take hold. So fasten your seatbelt – it’s only a matter of time before a bigger and more violent turbulence hits again. If all that sounds unsettling to you, that’s because it is. Little has gone unnoticed by the expatriate community, and many will flee the city at the first sign of trouble. 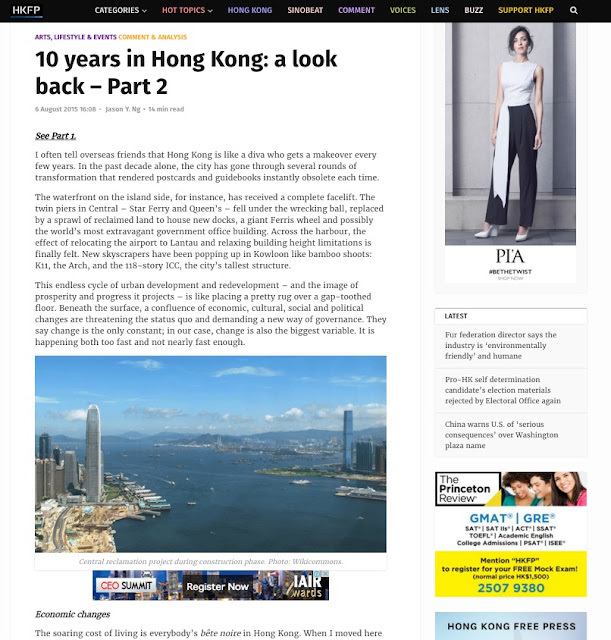 Since 2005, there have been two waves of exodus of expats: the first was by force in the wake of the 2008 financial crisis, and the second was by choice following the conclusion of the Umbrella Movement last December. In the past six months, I have attended more farewell parties to send off friends and colleagues – bankers, business owners, writers and journalists – than I ever did in all of the past 10 years combined. But is it? 18 months later, I am starting to doubt whether street smarts and quick thinking alone are enough to get us through the challenges ahead. 10 years on, I am beginning to wonder if my optimism is simply blind faith, and if I am in denial out of my deep affection for the city. Like Al, I can use some reassurance right about now. Are street smarts alone enough? This article was published on Hong Kong Free Press under the title "10 years in Hong Kong: a look back - Part 2."